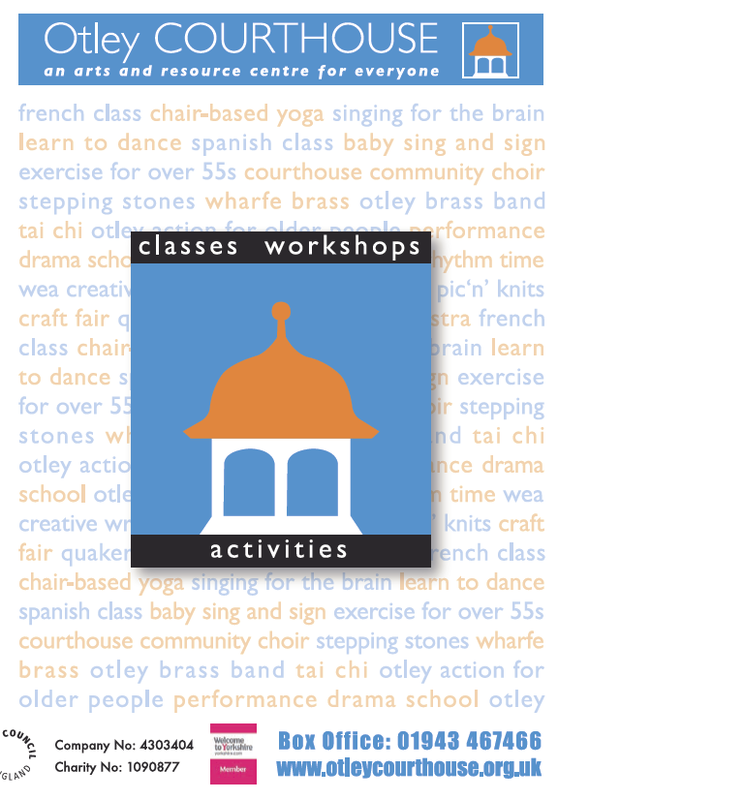 In addition to our events programme, we host a wide variety of clubs, societies and classes take place at Otley Courthouse every day, there is something for all ages from music to creative writing and children’s activities. Cant find a class to suit your interests? Then why not set one up? Come in and talk to us about your all your workshop needs. 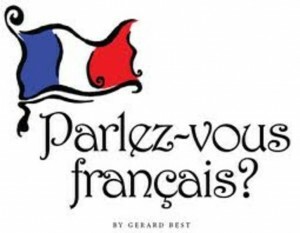 Do you want to improve your French? You will learn from Sue Kent a sympathetic, patient, experienced teacher in a class of up to 15 people. 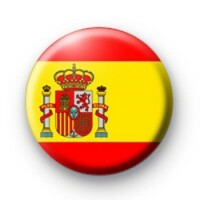 You will gain confidence to speak French, improve your knowledge and have fun! There are no exams or formal assessments, just lots of practice with people of a similar standard. All classes are 2 hours long, including a short break in the middle. Classes cost £8 per session daytime, payable termly in the first class you attend. Classes are ongoing but you can join at any point. If you are interested in joining a class, email Sue otleyfrench@gmail.com or phone her on 0113 2789250 so that she can discuss what level you are, and which class would be best for you. 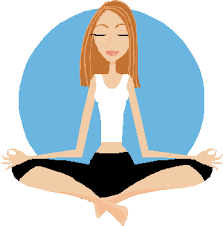 This session is run by Chrissie Chelinski, Dru yoga teacher, for people with MS, ME, Fibromyalgia & any conditions which impair mobility. 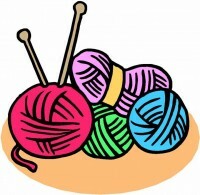 The group meets on Mondays from 10.30-11.30am & it’s £7 per class. Classes run on an ongoing basis and you can join at any time. This class runs every Monday from 12-1pm in the Courtroom. Classes are led by Patricia Wood and you should bring your own towel/mat. Classes are £4 per person per session. These classes run from 6.45 – 9.45pm every Monday in the Courtroom. Come along and try your hand at the American Smooth, Ballroom & Latin, and West Coast Swing. 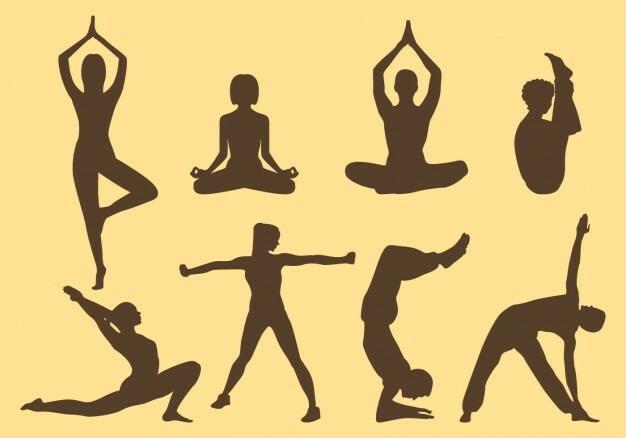 Run by pilates foundation teacher Gaynor, come along every Tuesday from 9.30-10.30am for mat based pilates. This happens every Wednesday from 10-11am. This is a unique programme for people to take part in our friendly and energised dance classes. Each class is one hour and is designed to help people with conditions which restrict mobility. 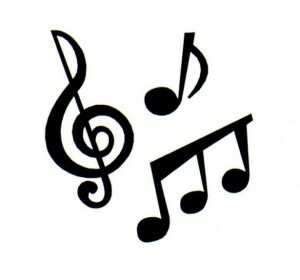 Accompanied by fun and enjoyable music, the classes are expressive, creative and promote feelings of freedom from physical and social constraints. Classes start seated with a stretching and strengthening warm-up, followed by balance work with the aid of chairs, ending with short sequences and social dances. Exercises are adapted of those who prefer to remain seated or aided by one of our dance teachers. Participants may be learning the Tango, Waltz and Salsa one week, the Hand Jive the next and even be guided around the room for a ceilidh dance. Young and older members are welcome to join in the fun, including carers and friends with or without dance experience! Participants can choose to take the classes as a course or simply just drop-in to one of our sessions and give it a go. Email Classes@ascendance.org.uk for a registration form or Tel 07933 683359. 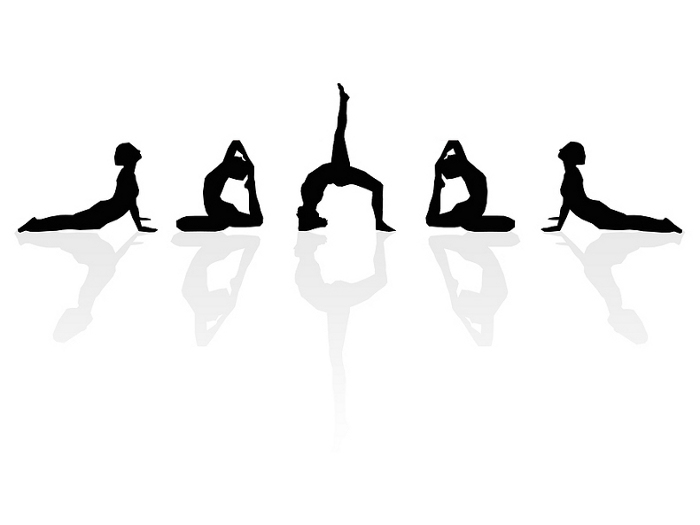 Taking place every Saturday from 10.30 – 11.30am this is a Vinyasa Flow yoga class run by North and Soul Yoga. This is a fun relaxed and friendly singing session led by a trained facilitator. Everyone with memory loss and their carers welcome. Led by experienced teacher and singer Dave Stewart, the choir meets every Tuesday during term time from 1.30 – 3.30pm. Everyone is welcome. 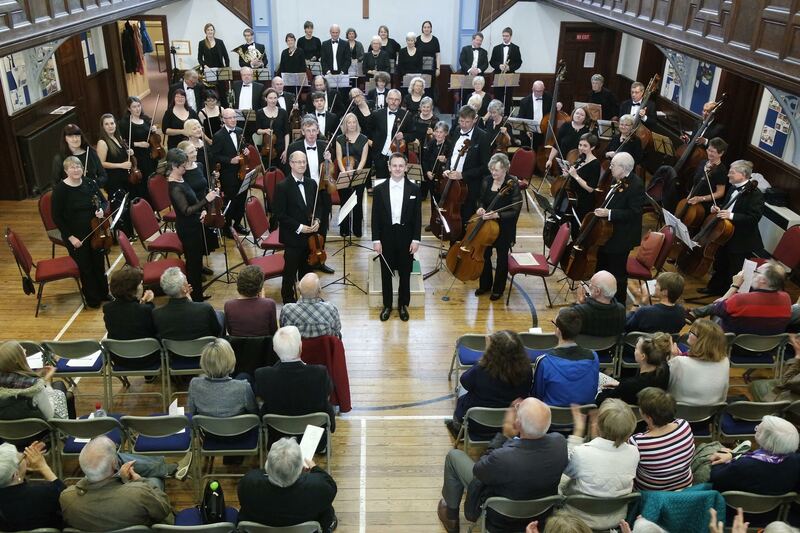 Since its foundation in 2009, the Otley Chamber Orchestra has rehearsed fortnightly at the Courthouse. 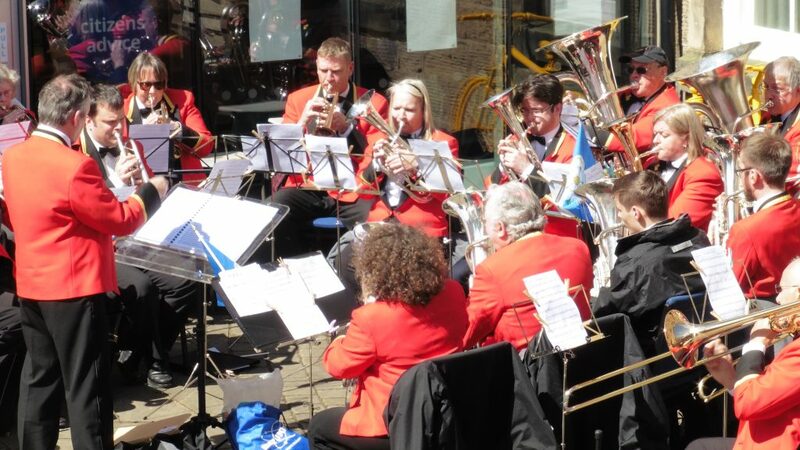 Members come from Otley and surrounding areas, with over 50 experienced players led by Chris Pelly who, as well as conducting, is also a pianist, trumpeter and singer. He started conducting Otley Chamber Orchestra on an occasional basis in 2014 and became our Musical Director in June 2016. Rehearsals are fortnightly on Sundays from 6.30-9.15 pm . New members are very welcome but please check with Helen Thornton (see below) to ensure there is a vacancy. (We virtually always have room for extra string players. The woodwind section is currently full but we keep a ‘waiting list’ for interested players who get occasional chances to play owing to absences for holidays, sickness etc). Sing and Sign Babes is a gentle music and sensory class with a strong emphasis on communication. 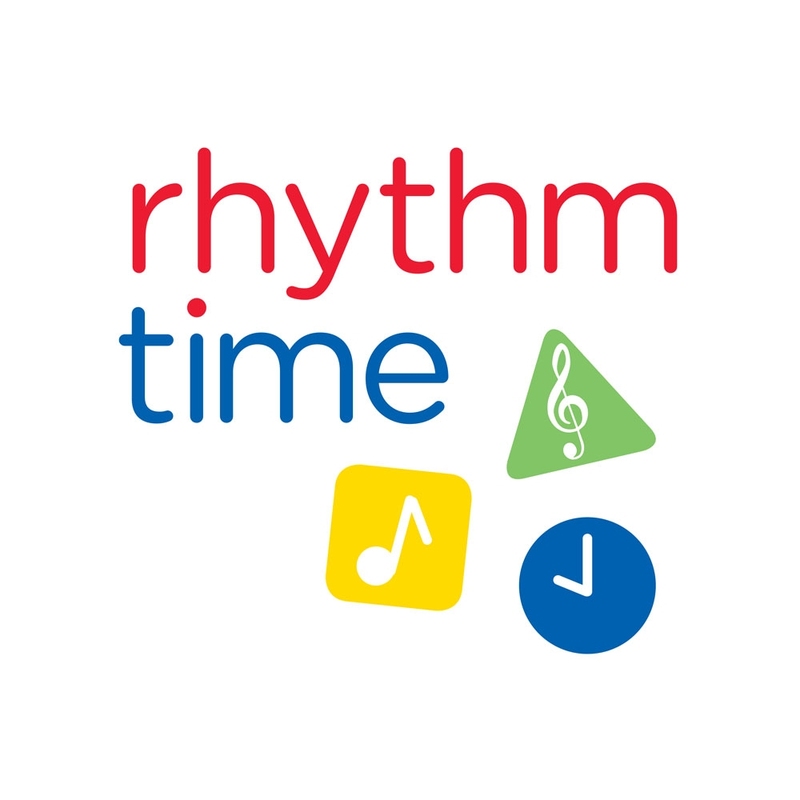 Classes are open to babies from birth or as soon as you feel you would like to get out with your baby and enjoy some music together. 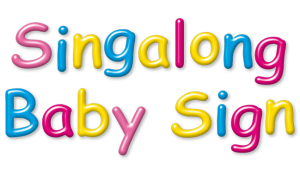 Sing and Sign Stage 1 is ideal for babies from 6 months old up to around 14/15 months old and their parent/carer. Themes include basic signs, nappies & bath time, emotions & bedtime. You’ll learn over 100 signs related to your routines and also the sort of things your baby may be interested in, such as animals and vehicles. Sing and Sign Stage 2 is great when your little one is 14/15+ months, moving about and probably starting to talk (although every baby is different, so there’s no hard and fast rule!) as it is more active and interactive. Themes include weather, opposites, colours and the phonetic alphabet, together with simple counting songs, turn taking, sharing and of course, lots of fun! This group meets every Friday from 10am-12pm. all abilities are welcome. This group meets on the 1st, 3rd & 4th Saturday morning of every month from 10.30am-12.30pm except the second Saturday of every month when they cast off from the Courthouse and have a joint knit-in with the Parish Church knitters. Everyone is welcome just come along and join in!